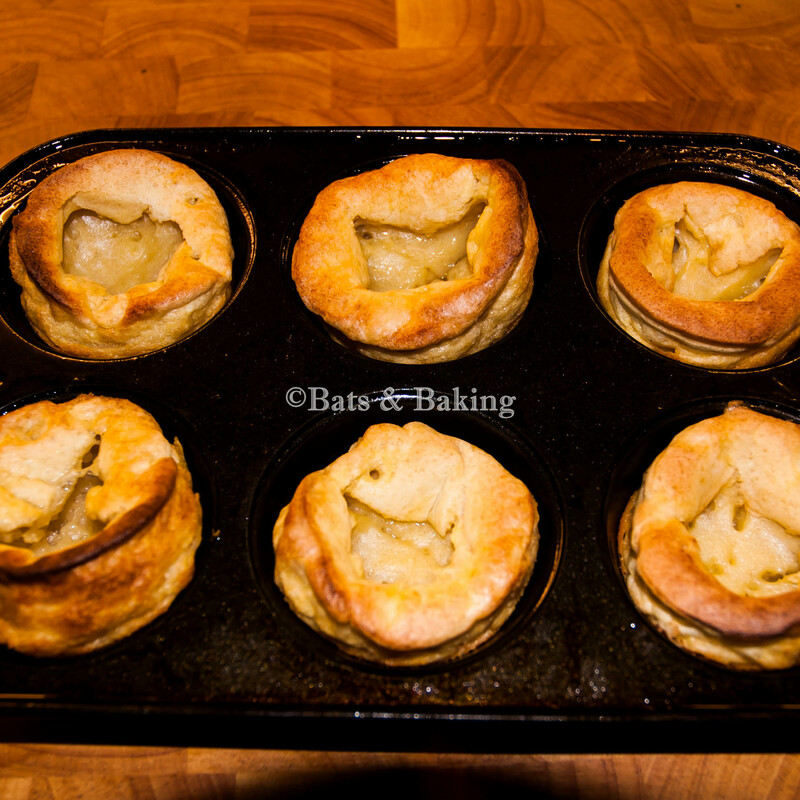 Since adopting the vegan lifestyle in February last year I have been working on an easy recipe for yorkshire puddings. Now yorkshire pudding (pronounced york-sher pudding) appears to be little known outside the UK. 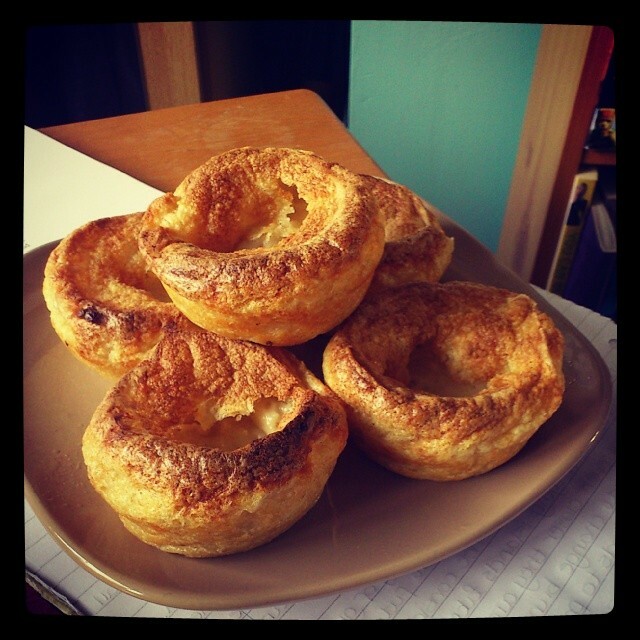 However, inside the UK, an easy and accessible vegan yorkshire pudding recipe is like the holy grail! I spent months scouring the internet for a recipe that was easy to follow and didn’t require a bunch of ingredients I had never heard of and that actually worked! There were those that used egg replacer like this one from Viva! that seemed simple but didn’t have that signature hole in the centre of the pudding. Then there were those that used one or more ingredients that were not easily accessible to me like this one from Maple Spice. So I decided to go back to the drawing board. I started with my grandmothers old Bero Baking Book and the basic yorkshire pudding batter mix of flour, egg, and milk. I then swapped out the egg for egg replacer and the milk for soya milk and was left with a good rise but a soggy middle and no signature hole in the top. I tried again but this time once the top had baked I “popped” the top with the end of a spoon and created my own hole before putting them back in the oven to cook through. It worked! But I couldn’t help but think that there must be and even easier way so I kept trying. I got to thinking that, when baking cakes, a mix of cedar vinegar and bicarbonate of soda (baking soda for my US friends) makes what would normally be a heavy bake all light and fluffy. Could this work for yorkshire puddings too? I ditched the egg replacer and grabbed the bicarb and vinegar to have another go. I did two batches at the same time. One with 1/2 tsp baking powder, 1/2 tsp bicarb in the flour and 1 tbsp cedar vinegar in the milk, and one with 1 tsp baking powder, 1 tsp bicarb in the flour and 2 tbsp lemon juice in the milk. The lemon juice batch was inedible as 1 tsp is far too much bicarb and neither developed the hole in the top I was looking for. “Maybe if I combine some of the original recipe with this new technique?” I thought. So I tried adding the tbsp of cedar vinegar to the milk but otherwise keeping my original recipe the same. I made two more batches, one with a teaspoon of Vegg in with my usual egg replacer, and hoped for the best. At this point I had resigned myself to the fact that I was never going to get a natural hole but if I could improve the taste and/or texture then all the better! Turns out that the vinegar adds nothing to the Yorkshires however the Vegg does add a subtly better flavour. The slight improvement is not enough for me to tell you to go out and buy it just for this recipe, however, if you happen to have some lying around your kitchen then throw a spoon of it into your mix. Preheat oven to gas mark 8. 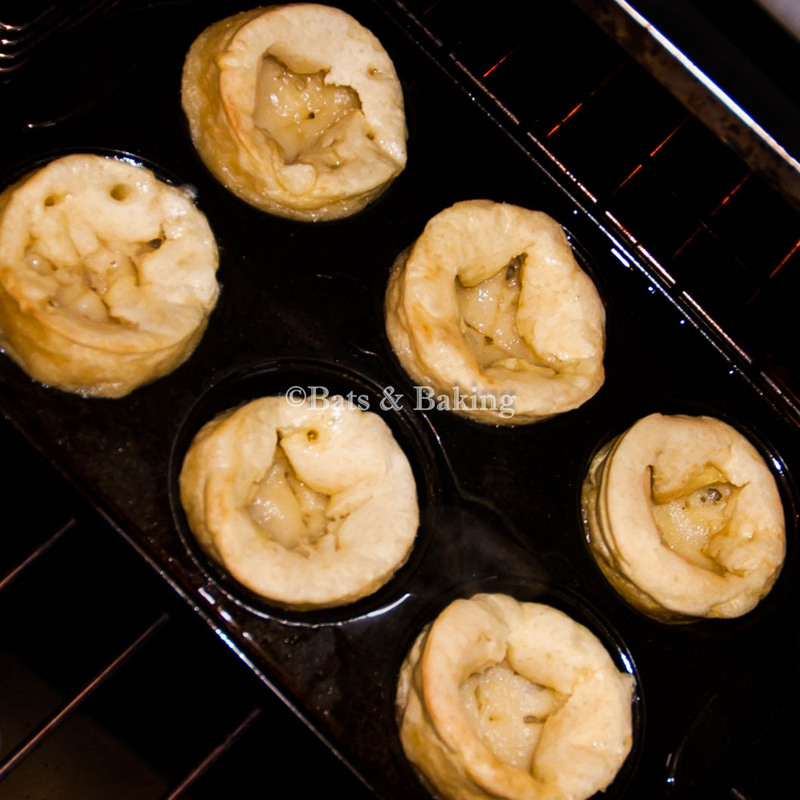 Add a drop of oil in each section of your yorkshire pudding pan and place in the oven to heat. Whisk together the flour and milk. In a blender/food processor combine the egg replacer, Vegg (if using), and water until very fluffy. Quickly fold the “egg” into the flour mixture. Once the pan is very hot, pour the yorkshire mixture into the 6 sections and put back into the oven (never pour the mix into a cold pan or you won’t get a good, crisp rise). After 15-20 minutes take the pan out of the oven (the tops should be starting to crisp at this point but have yet to take on much colour) and “pop” the tops to expose the centres then put back in the oven for a further 15-20 minutes or until cooked through. If the tops look like they are going to burn before the centre is cooked then just put some tin foil over the top. I love these with roast potatoes and parsnips, boiled seitan, sage and onion stuffing, and oodles of gravy! Sunday dinner at its yummiest! 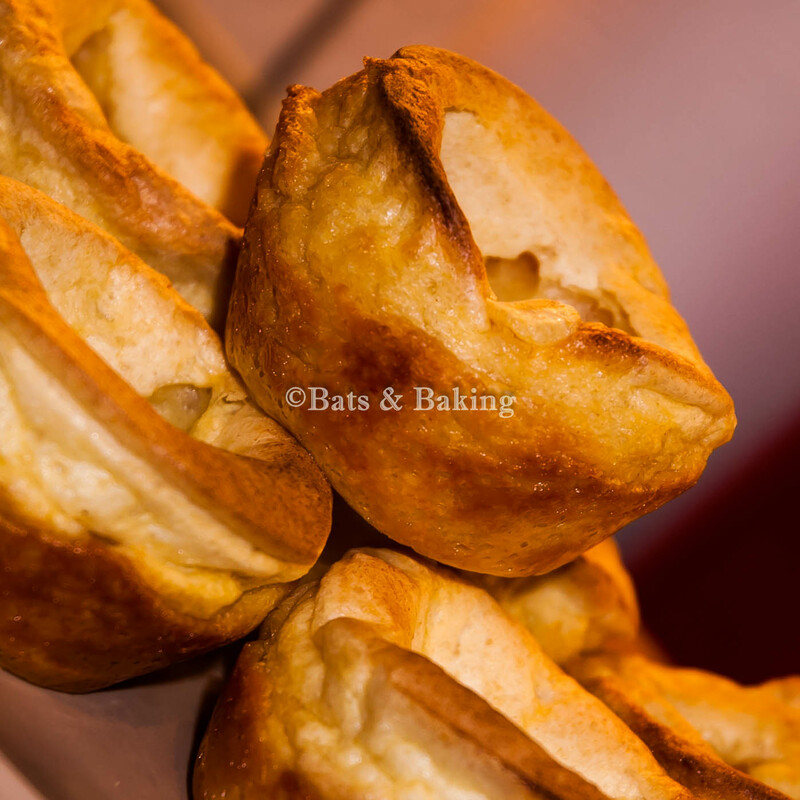 EDIT: These Yorkshire Puddings also freeze really well. Just defrost and either pop in the microwave for a minute or warm in the oven for 5 minutes.